The economy of Jamaica is heavily dependent on services, which currently accounts for more than 70% of GDP. The country continues to derive most of its foreign exchange from tourism, remittances, and bauxite/alumina. Remittances and tourism each account for 30% of GDP, while bauxite/alumina exports make up roughly 5% of GDP. The bauxite/alumina sector was most affected by the global downturn while the tourism industry and remittance flow remained resilient. The major industries are currently tourism, bauxite/alumina, agricultural-processing, light manufactures, rum, cement, metal, paper, chemical products and telecommunications. In 2015, 2015 exceeded the 2 millionth marker to reach a record of 2,123,042, which was 2.1% above the 2,080,181 arrivals recorded in 2014. This figure represents 42,861 more stopovers than in 2014 and despite some yearly fluctuations. That accounted for gross visitor expenditure of approximately US$2.402 billion. This represents an increase of 7.0% against the estimated US$2.244 billion earned in 2014. And all that is projected to increase. The major agricultural products produced currently by Jamaica are sugarcane, bananas, coffee, citrus, yams, ackees, vegetables; poultry, goats, milk and shellfish. What Do We Export vs Import? Alumina, bauxite, sugar, rum, coffee, yams, beverages, chemicals, apparel and mineral fuels are currently the major items exported. Food and other consumer goods, industrial supplies, fuel, parts and accessories of capital goods, machinery and transport equipment, construction materials are currently the major imported items. Wanna guess where we export from? For decades, Jamaica has struggled with low growth, high public debt and many external shocks that further weakened the economy. 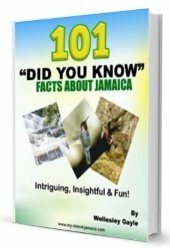 Over the last 30 years, real per capita GDP increased at an average of just one percent per year, making Jamaica one of the slowest growing developing countries in the world. The government steadily accumulated debt, which reached 145 percent of GDP in 2012. To stabilize the economy, reduce debt and unlock growth, the Government of Jamaica (GoJ) embarked on a comprehensive and ambitious program of reforms for which has garnered national and international support. As part of a comprehensive package, the , the World Bank and the Inter-American Development Bank (IDB) are each lending US$510 million, and the International Monetary Fund (IMF) is lending US$932 million through a four-year program under its Extended Fund Facility. In addition, the International Finance Corporation (IFC) and Multilateral Investment Guarantee Agency (MIGA) will continue to support private sector development. A change in administration after national elections in February 2016 brought further consolidation of government efforts with a dedicated Ministry of Economic Growth and Job Creation, headed by the Prime Minister and advised by a high level Economic Growth Council. The reform program is beginning to bear fruit: Institutional reforms and measures to improve the environment for the private sector have started to restore confidence in the economy of Jamaica. In the 2016 Doing Business report Jamaica ranked for a second year in a row among the top ten improvers worldwide. According to the 2016 DB methodology, Jamaica jumped 7 places, moving from 71 in 2015 (back calculation based on new methodology) to 64. 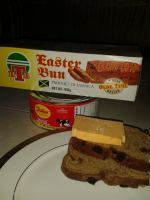 The country’s credit rating has improved, and Jamaican bonds trade at a premium in international markets. In 2015, when investors were moving out of emerging market debt, the GoJ issued a US$2 billion Eurobond that enabled it to retire US$2.9 billion of PetroCaribe debt. Prudent macroeconomic policies and careful liability management reduced total government debt to 128 percent of GDP by the end of fiscal year 2015/16. During the past three years economic growth rates have been steadily rising, although remaining lower than what is needed for eradicating poverty and boosting shared prosperity. The World Bank forecasts GDP growth accelerating to 1.7 percent in 2016 and to over 2 percent in 2017, aided by improving growth in the U.S., low oil prices, and reforms of investment climate. The country continues to be confronted by serious social issues that predominantly affect youth, such as high levels of crime and violence and high unemployment. Jamaica, which had seen its poverty rate drop almost 20 percent over two decades, saw it increase by eight percent in a few years after the onset of the global economic crisis in 2008. The Statistics Institute of Jamaica estimates the unemployment rate in Jamaica at 13.7 percent (April 2016). The unemployment rate for youth is considerably higher at 29.2 percent, and the average unemployment rate for women is almost double that for men: 18.6 versus 9.6 percent. You are welcome to read more on their website here. 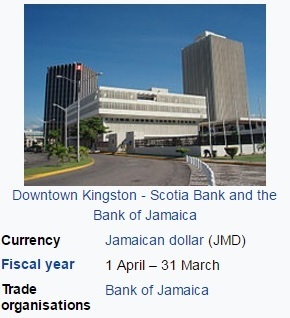 For more detailed information on the economy of Jamaica, including GDP, distribution of income, current account balance, debt, taxes, lending rates, unemployment rates please visit IndexMundi.com.